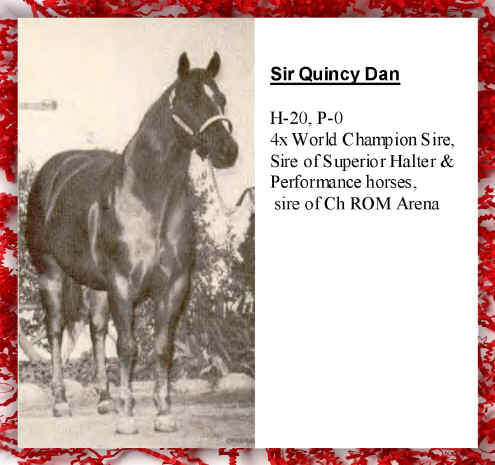 Home Stallions For Sale Links Gallery Contact Us! "Gunner's" pedigree is filled with outstanding individuals. Sonny's Top Gun, Skipa Star, Easter Sunrise and Sir Quincy Dan. His get have continually proven themselves in halter, yearling LL, Western Pleasure, Hunter Under Saddle and multiple other disciplines. Each of Gunner's get to show have been futurity winners, money earners and year end champions. Gunner has been donated to the Temecula Valley Paint horse club, Golden State Palomino, NHSA and TMVPHC stallion service auctions for 2006. Gunner is also enrolled in the APHA's Breeders trust program for 2006. Gunner possesses and produces outstanding conformation, incredible beauty, athletic ability and an amazingly docile disposition. 2006 Fee: $600 (booking and LFG included). Acrobat Reader required to view and fill out contracts.